DawnSignPress's Once Upon a Sign wins Best of 2015 award! 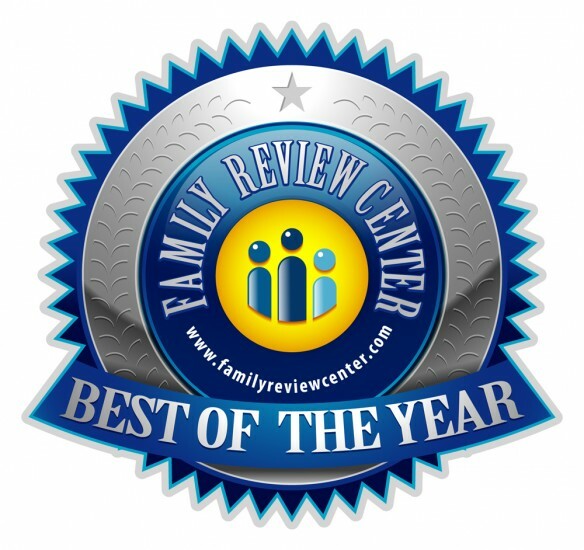 December 1, 2015 - San Diego, CA -- DawnSignPress's Once Upon a Sign series won the Best Series of the Year Award from the Family Review Center. Once Upon a Sign stories are American Sign Language (ASL) recreations of the following classic stories: The Stone Soup, Jack and the Beanstalk, Little Red Riding Hood, Goldilocks and the Three Bears, The Magic Mirror and The Three Little Pigs. This latest award is one in a string of accolades the Once Upon A Sign videos received, including a Kids First endorsement and Dove Foundation’s #FamilyApproved Seal. This summer, San Diego International Film Festival awarded the Best Educational Film to DawnSignPress for The Magic Mirror. Awarded with Parents’ Choice Approved, The Magic Mirror is also the winner of the Bronze Telly Award 2015. “I’m thrilled that Once Upon a Sign is getting recognition. It’s a big dream and goal to educate the mainstream about ASL. The more exposure to ASL, the more awareness there will be. That’s why we produced the series. The stories allow Deaf and hearing families to watch and enjoy them together,”said Joe Dannis, executive producer, Once Upon a Sign series. Once Upon a Sign re-creates classic children’s stories with modern themes performed by an all-Deaf cast entirely in ASL with voice-over and English subtitles. Each DVD also features “Fun Signs,” a recap of key signs from the story. Children can delight all over again in these timeless stories with new twists. Previews of Once Upon a Sign can be viewed at www.dawnsignkids.com. DVDs of the signed stories are now available for $15.95 each and can be purchased at www.dawnsign.com. DawnSignPress, a Deaf-owned company, creates, develops, and publishes quality American Sign Language (ASL) videos and books. After 35 years of pioneering ASL products, DawnSignPress is still on the cutting edge of the educational and social media trends relating to ASL. Now, with ASL’s popularity in the mainstream on a steady rise, DawnSignPress looks to offer quality ASL to a wider audience. DawnSignKids is a division of DawnSignPress, which creates, develops, and publishes quality children’s ASL videos and books. For more information, visit www.DawnSign.com or www.dawnsignkids.com.